This evening the Swedish Royal Family held their first Representation Dinner of the year at the royal palace in Stockholm. All of the Swedish Ladies were there in lovely gowns. Madeleine wore a new dress by Pronovias and Victoria rewore one of her gowns from Escada. She originally wore this dress back in 2011. Victoria wore the 6 Button tiara (my favorite) and Madeleine wore a tiara we have not seen in a while- her Aquamarine Bandeau. I am not sure how I feel about it. It certainly matches the dress but I never have really been a fan of this tiara. Victoria also seems to be wearing her Roger Vivier shoes. I image them to be the cream pair. Madeleine's gown reminds me a lot of her 2nd gown from the Nobel Celebrations but Pronovias has denied that it is theirs. Sofia was also there and wore a new gown from Kay Senchai. 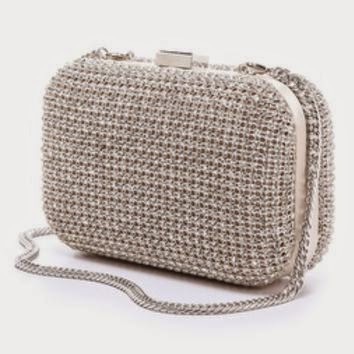 Sofia carried her go to By Malene Birger clutch. I think Sofia's gown is from Valentino. It looks very similar to Madeleine's dress when she attendes the Valentino show in Paris and when you look at the runway picture, the embellishments on the skirt look the same. Thanks so much! I updated the post!! !